Product code: 539 Categories: Sold Items, Sold Rings. Here is a wonderful example of an antique ring made in a way no longer produced. 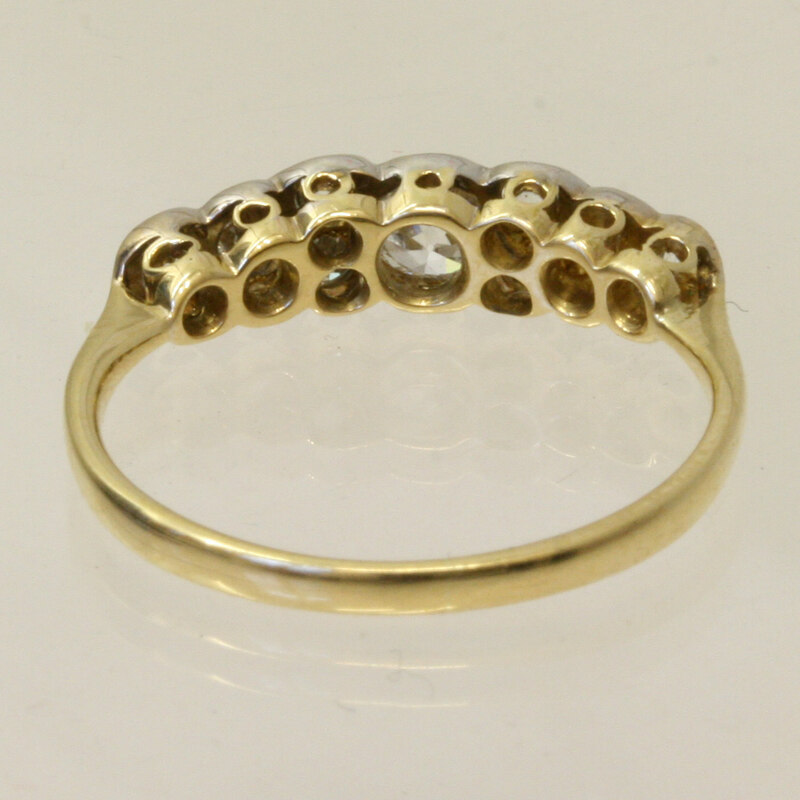 Made with an 18ct gold band, with the diamonds set in silver – a technique used to highlight the diamonds and a technique no longer used today, as it will be done with platinum or white gold, this antique ring has so much attention to detail and so much sparkle from the 44 diamonds. Antique jewellery is ever popular, and a ring like this is sure to get the attention it deserves when you wear it on your finger.